Apple on Monday unveiled Jony Ive’s reimagined iOS, once and for all ridding the platform of skeuomorphism while adding some long overdue features. The company said it’s the most comprehensive revamp since iOS was first unveiled back in 2007, and it’s immediately apparent that Forstall’s analog vision has been purged forever. Apple is going in a new, more simplistic and layered direction under Ive, one that takes the training wheels off and actually introduces an experience for the modern age. Well, the experience just got a whole lot different, and there is a lot to cover. But we’re picking out our top five favorite new features, the ones that stood out during Apple’s presentation on Monday. Want to quickly access settings? That’s finally there, among many other features. Welcome to the all-new iOS experience. Perhaps one of the most requested features for iOS, Control Center finally allows users to quickly access settings from anywhere in the ecosystem with a simple swipe up from the bottom—even straight from the lock screen. It’s a simple addition to the platform, but no doubt one that will make a huge difference in everyday use. “Some things should be only a swipe away,” Apple writes on its site, and we couldn’t agree more. Not only can you quickly turn on/off settings such as Airplane mode, Wi-Fi and Do Not Disturb, but you can access your music player, brightness, volume, calculator and more. You can even quickly connect to any AirDrop compatible device with the push of a button. Android users will be rolling their eyes at the simple feature, but it’s about time Apple introduced something so convenient to its platform. Aside from receiving a design overhaul, the new notification center introduces a better way to organize messages, email and more. By adding a new bar at the top—today, all and missed—users can easily see their itinerary at-a-glance, and find what notifications matter to them most. And you can see all of that right from the lock screen—and no more textured background. Today view is probably the more exciting aspect of Notification Center now. 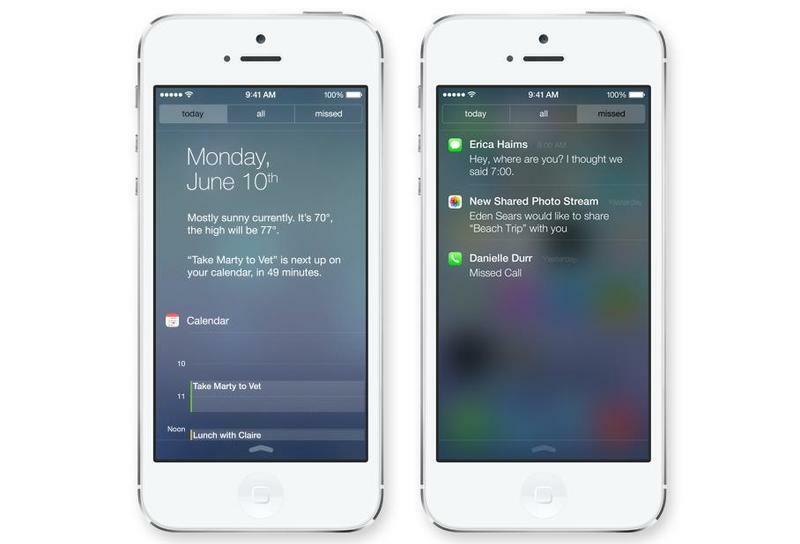 In it, Apple provides calendar info, weather information and also what’s upcoming the next day. The feature even tells you if traffic will slow down your commute, so you know exactly when to leave for a meeting. What Apple didn’t make clear, however, is if you can swipe individual notifications away, or if you can expand/minimize app notifications in the center. It doesn’t appear those features will be added, but Apple could detail the OS more in-depth as the fall release nears. 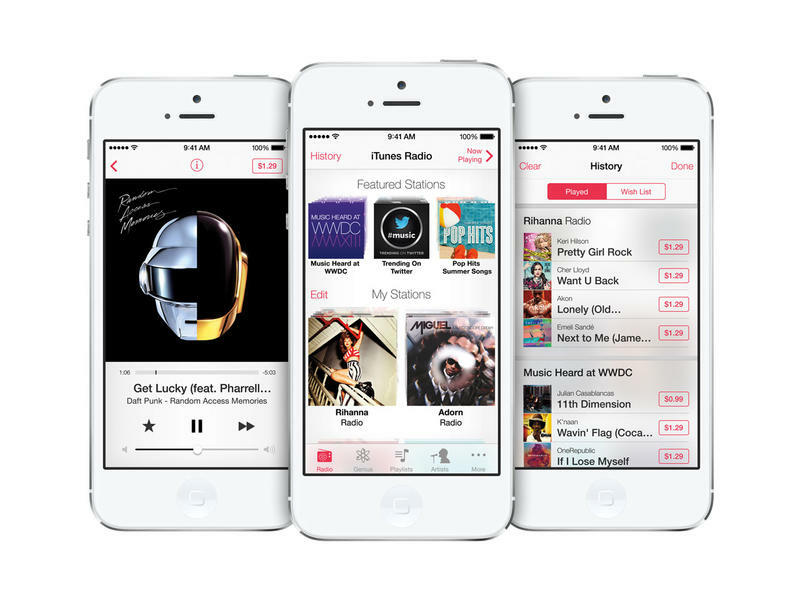 Following an endless stream of rumors surrounding Apple’s music-streaming service, the company finally unveiled iTunes Radio built right into iOS 7. Really, it was only a matter of time before Apple added the feature to its iTunes ecosystem, and people who spend their time and money in that ecosystem will feel right at home. The service, unsurprisingly, is directly using a similar model to Pandora’s, but it’s got one heck of a catalog behind it. Apple says the upcoming service will provide radio stations from day one—over 200 that are genre-focused—and increasingly get better the more you use it. If you can’t get enough of the band Phoenix, that particular station will evolve based on your tastes—the idea is an experience that feels personally tailored for you. Once iTunes Radio does drop, it’ll be free and available for all iOS 7 compatible devices, and even for Mac and PC. Apple is trying to rope more people into its iTunes universe, and adding a streaming aspect is a smart move. Any song you hear can be purchased easily, and any station can be built around whatever song you like at that moment. Siri is even getting involved with the new service. Apple said you can tell the assistant to “Play more like this” when a song comes on, and hear similar tunes. Apple reportedly just wrapped up deals for the service, but it’s a little unusual the company would tie it to iOS 7 only, which doesn’t come out until this fall. Also, the fact that it’s free against Google’s recent on-demand All Access service is a clear move at swiping users away from Google’s own streaming-music playground. iMessage has become the go-to way of sharing documents between iOS users, but AirDrop, which is immensely convenient on the Mac, is now available for iPhones and iPads. Apple says the feature is a way to make sharing feel more immediate, especially when the person you want to share with—or more than one person—is right next to you. 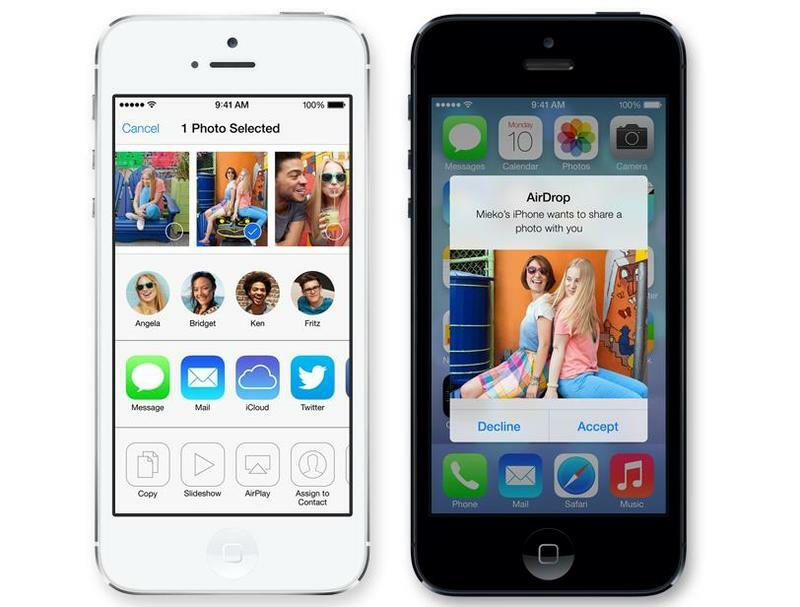 With a new Share button, iOS 7 lets you easily send photos, videos and contacts with anyone that has a compatible device. Simply tap share, select who you want to share with, and send that encrypted document over Wi-Fi or Bluetooth. Apple says no setup is required whatsoever, so it’ll be an effortless experience. When demonstrating the feature, Apple took a big jab at NFC (probably Samsung in particular) by saying users won’t have to go around the room bumping devices with one another. I’m actually surprised Apple introduced a new way to multitask. Essentially, the new—Apple says smarter—way to multitask is designed like Safari’s current card view when switching between tabs. Instead of a small app icon tray at the bottom, the new multitasking feature fills the screen with cards that you can easily swipe away. And, interestingly, multitasking will proactively update your apps depending on how often and when you use them. So, for example, if you consistently check Twitter when you wake up in the morning, the app should in theory update for you so your feed will be ready before even launching the app. Additionally, multitasking will schedule app updates around power-efficient times, such as when you’re connected to a power outlet and on Wi-Fi. Apple is clearly moving in a different direction. 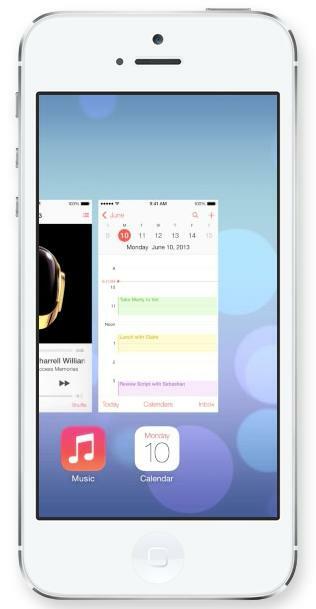 Rather than focusing on the term flat, like many reports suggesting beforehand, Apple made it a point to highlight iOS 7‘s depth. There are more layers now, new animations, zero skeuomorphism. But it’s still decidedly Apple—Jony Ive and Tim Cook’s Apple. Everything looks different. 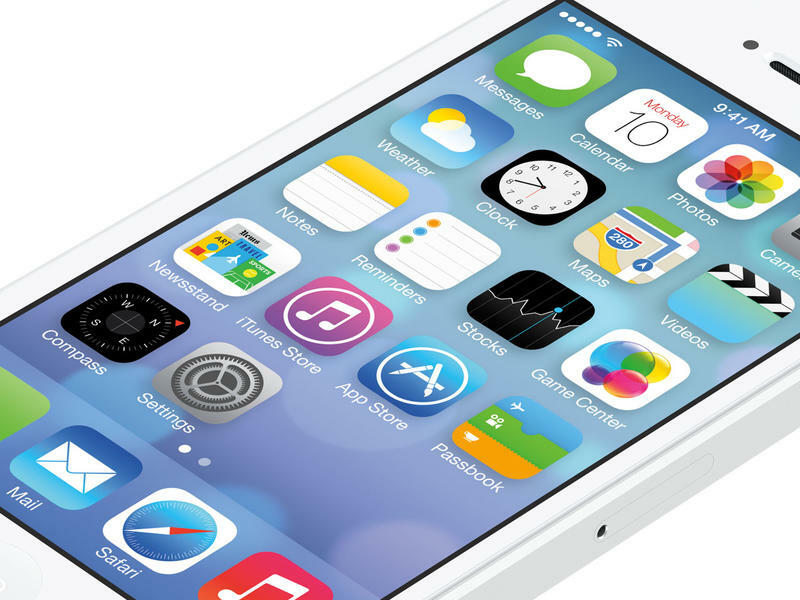 For all intents and purposes, iOS is getting a fresh new start. Siri is smarter, Maps are better, and there’s finally a way to quickly access important settings. The above features were just a few of the many being added to iOS 7—there are others such as more camera features, revamped Safari and a more robust Photos experience. These are the things Apple only had time to talk about, too. 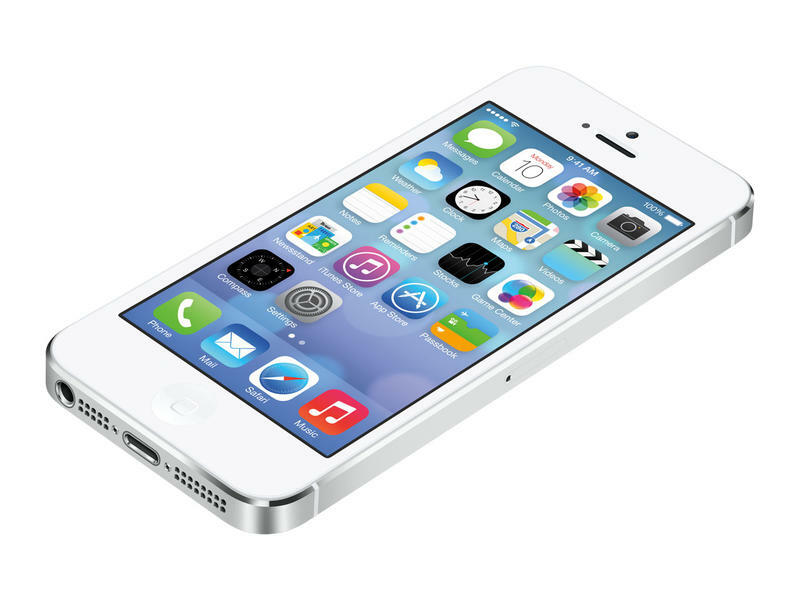 With iOS 7, Apple is greatly improving upon an already excellent platform. Many of the immediate features might seem familiar to other competing platforms, but Apple today made it clear the company is focused on taking iOS on a new path. Jony Ive said during today’s presentation that design isn’t just about the way something looks, but how it works. Apple is famous for marrying those two concepts into some industry-leading products. 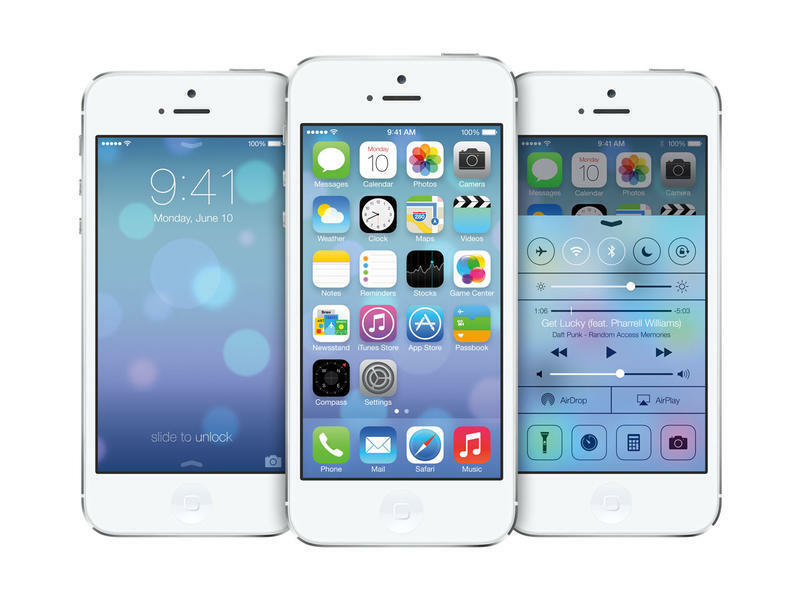 And it’s clear with iOS 7 that the company will again achieve that perfect combination of functionality and design. This time, without any skeuomorphism to be found.